Created with the finest tobacco absolute, tobacco leaves, charcoal plus my special ingredient. 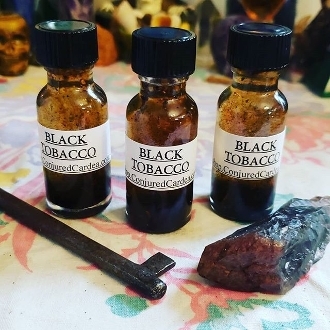 Black Tobacco oil is used to evoke indigenous spirits for aid in the highest protection, to remove jinxes and the evil eye, to keep the law away. Use with black or brown candles.